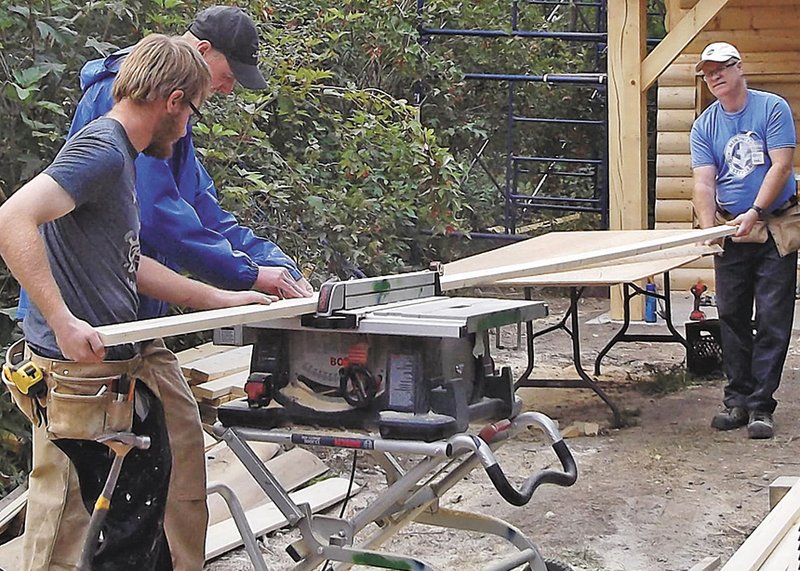 Ike and Priscilla Epp aren’t quite sure how many people volunteered to help build the second timber-frame cabin at Shekinah Retreat Centre, but they know there were many. 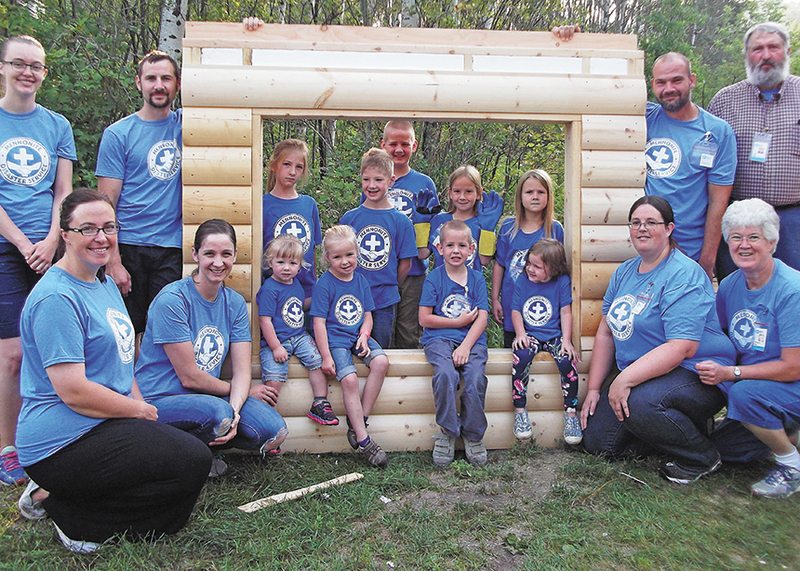 The project took place during the month of August at the Mennonite Church Saskatchewan-owned camp north of Waldheim, and was designated a Mennonite Disaster Service (MDS) Family Project. Each week saw a different group of families participating. 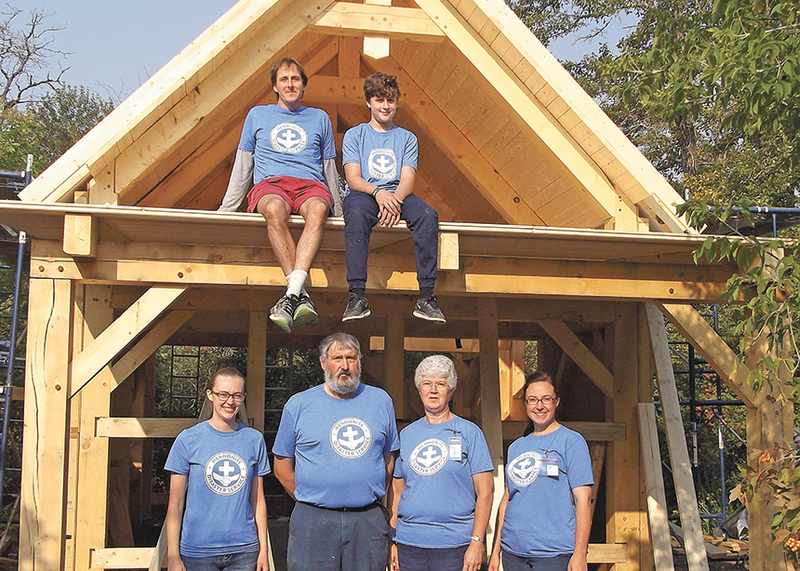 Children, ranging in age from three to 16, worked alongside their parents. Ike, who is the MDS Saskatchewan unit chair, said volunteers came from as far away as Baltimore, Md., to help with the construction. 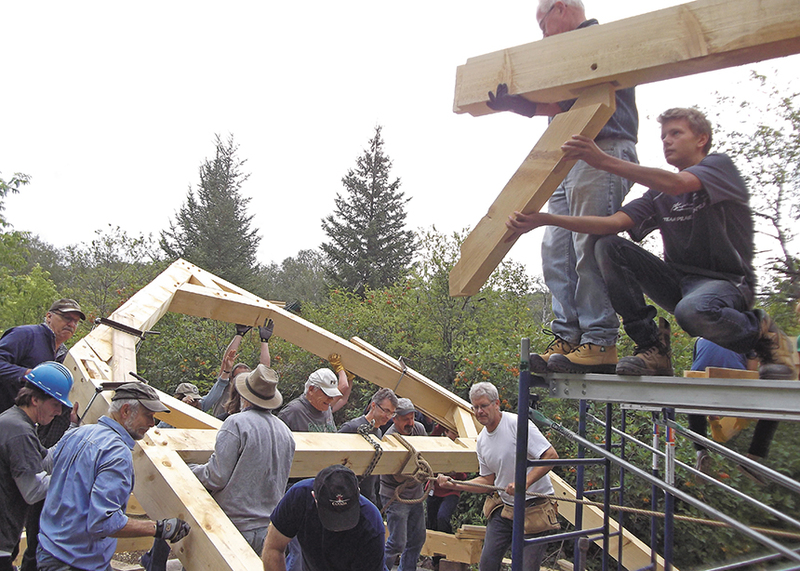 In addition to MDS volunteers, Shekinah staff and some of the campers pitched in to help, as did local Shekinah supporters. 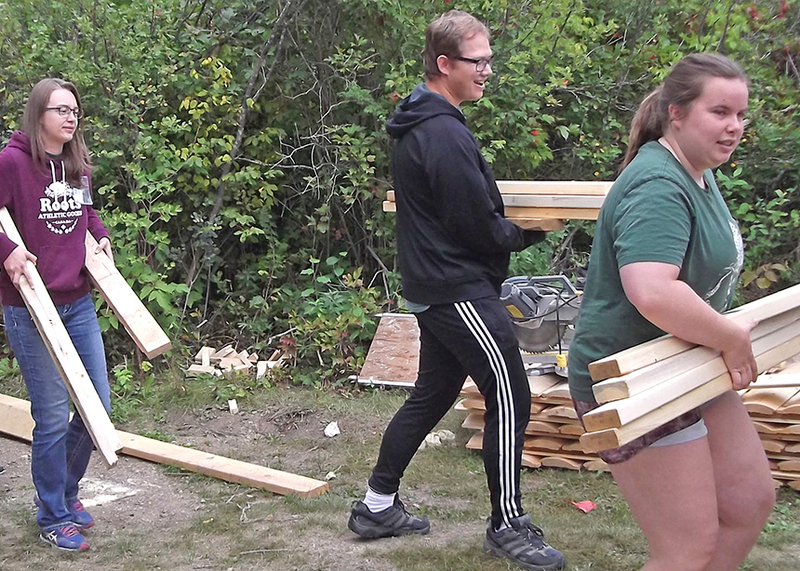 The MDS Family Project wasn’t all work, however. Each day included one fun activity, such as a ride on the camp’s zip line or an attempt at the climbing wall. MDS supporters are invited to the Saskatchewan unit’s awareness event, which will be held on Oct. 26, 2018, at 6:30 p.m. at the Waldheim Mennonite Brethren Church. Call 306-342-4344 to reserve a seat.